Suzhou HYC Electronic Technology CO.LTD, was established in Suzhou SND in June 2005 and is specialised in the development and production of LCD signal test systems which integrates into five areas, including: Testing, Equipment, Product, Intelligence and Communication. 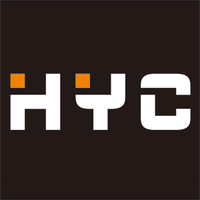 HYC had already implemented a tool within the organization but decided to shift to Trace Software International’s electrical CAD software elecworks™ for two main reasons. First of all, the customer service was not meeting the expectations. Secondly, the company reckoned elecworks™ provided with unique advantages able to meet the business needs. Amongst the multiple features of elecworks™, the electromechanical integration plays a crucial role for HYC as their business is focused on the development and production of LCD signal test systems. After the implementation of the software within the organization several projects such as AET and Jupiter have been managed efficiently. «We wanted to resolve certain problems, we were having. One issue our business was having was about the electrical design standardization. Another issue was mechanical and electrical integration design. Using elecworks™, our company quickly solved the electrical design specifications and standards compliance issues, built a platform for our product research and development stage to finalize the design phase from the whole process of production design – technology – manufacturing. Step two is according to our company PLM management platform: building a data management platform», said Mr. Hu WANG, Layout Department Director at Suzhou HYC. “Using elecworks™, our company quiclky solved the electrical design specifications and standards compliance issues”. Mr. Hu WANG, Layout Department Director at Suzhou HYC. «elecworks™ for PTC®Creo®, is the only way for the future of our company, we also hope with software and service providers working together we will overcome any technical problems» Mr. Hu Wang added.